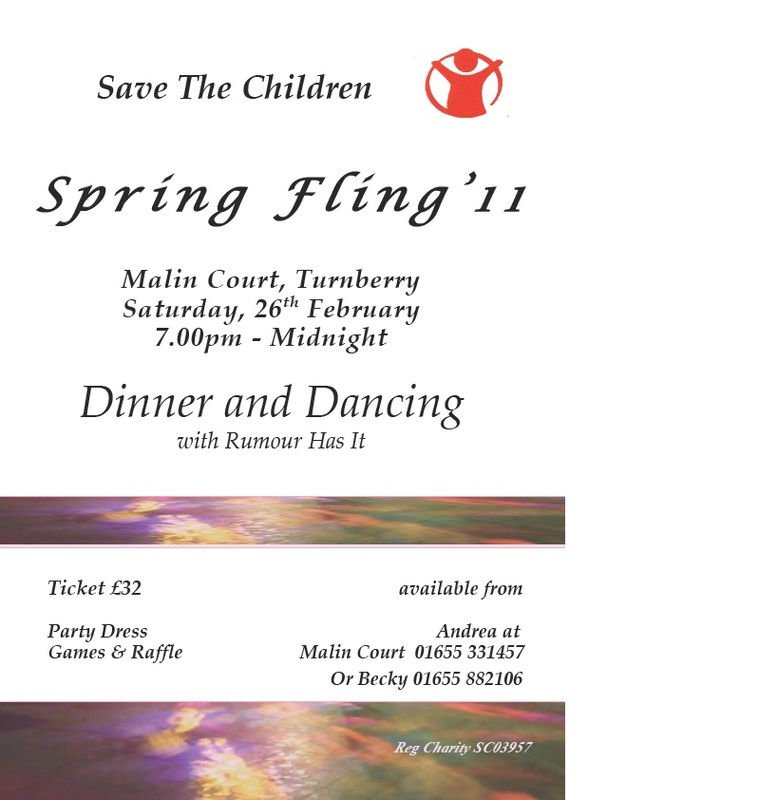 The Spring Fling takes place on Saturday 26 March 2011, at Malin Court Turnberry, 7pm for 7.30 dinner and dancing with the band Rumour Has It, great raffle prizes and fun. £32 per head, includes glass of wine on arrival and an excellent menu provided by Malin Court. 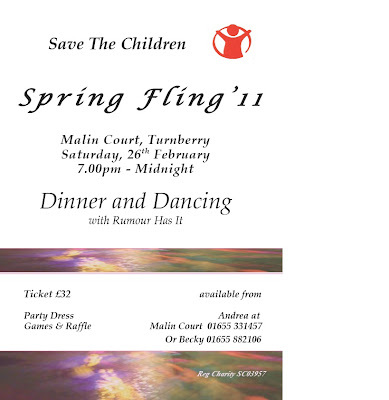 Rebecca Cadie is Chair of the Maybole and District branch of Save the Children, who are organising the event.